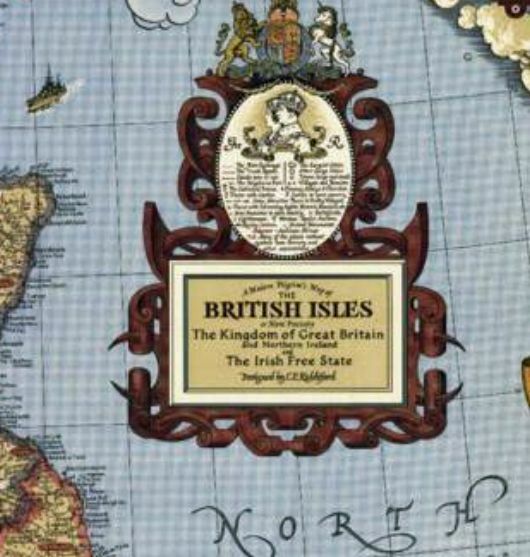 Published in June 1937, this whimsical map of the British Isles features colorful illustrations, county indexes, and thousands of places of interest in England, Wales, Scotland, and Ireland. 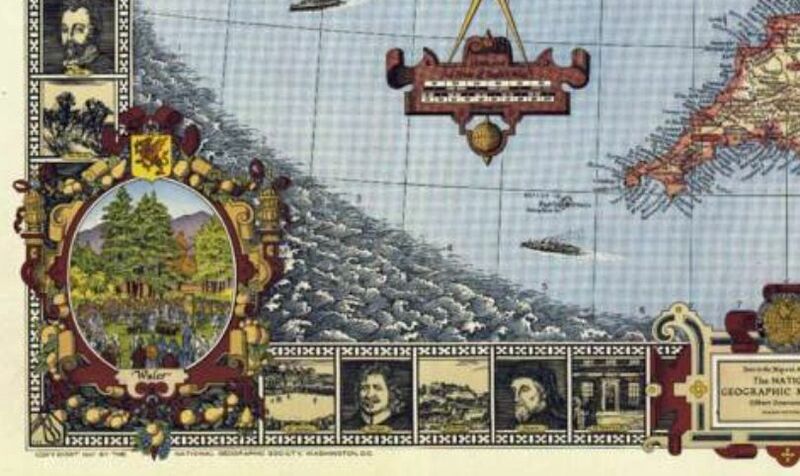 The illustrated border contains sketches of historical figures and locations of interest. 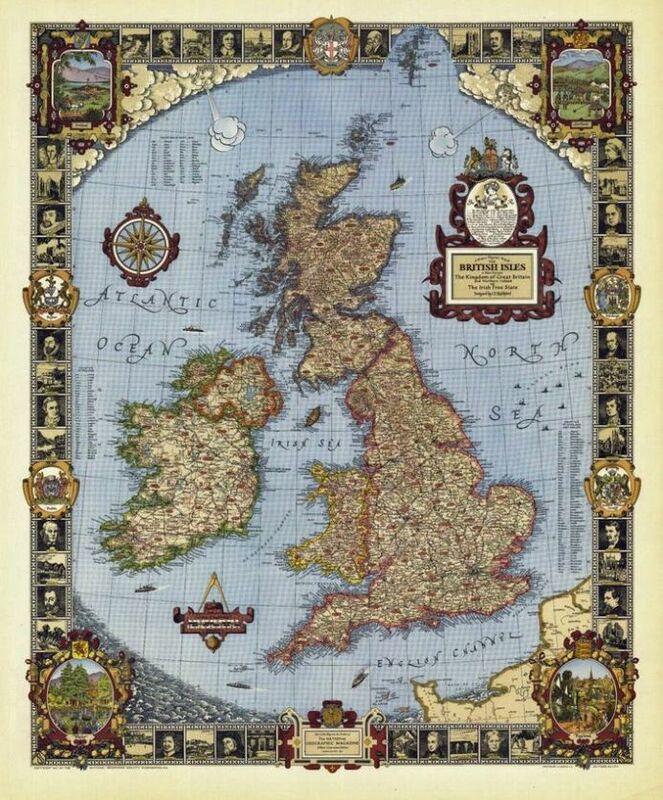 The unique artistic craftsmanship of this colorful and vibrant map make it a wonderful gift for those who love the British Isles. This is a wall map It will be rolled in a cardboard postal tube. Printed on 140gsm Quality map paper.